Another good thing about this huge creep is that, unlike one of its relatives, the Salema porgy (Sarpa salpa), you won't risk having a terrible trip when you eat one. Apparently they taste great! The Salema porgy, also of the Sparidae family and nicknamed the dreamfish, was reportedly used for recreational hallucinogenic purposes in the Mediterranean during the Roman Empire and has played a role in traditional Polynesian ceremonies. Along with a handful of other fish, the flesh of the Salema porgy can sometimes inflict ichthyosarcotoxism on those who eat it, which is a very rare form of poisoning caused by the toxins of a tiny species of marine plankton called Gambierdiscus toxicus. This poisoning from contaminated fish flesh prompts intense hallucinations and terrifying nightmares that can last for several days. As reported by Luc de Haro and Philip Pommier from the Centre Antipoison of the Hôpital Salvator in Marseille, France, in a 2006 issue of Clinical Toxicology, a 90-year-old man ate a Salema porgy in Saint Tropez in 2002 and two hours later was hallucinating and having nightmares about people and birds screaming, which lasted a further two nights. He literally thought he was losing his mind. "Fearing that these symptoms might signal the beginning of a major mental illness, he did not tell his friends or attending physician. The manifestations abated three days after he had eaten the fish," de Haro and Pommier report. Prior to that, a 40-year-old man also fell victim to ichthyosarcotoxism while holidaying in the French Riviera and had hallucinations of screaming animals and giant, menacing spiders surrounding his car. In 2009, a fisherman named Andy Giles caught one in the English Channel, which is unusual because they usually keep to warm waters of the Mediterranean and African west coast, and told the Daily Telegraph, "Now I realise what it was and the effects it can have, perhaps I should have taken it into town to sell to some clubbers!" Andy lol. So the sheepshead fish doesn't do any of that stuff. But it does have human teeth. Sheepshead fish are a common North American marine species that span from Cape Cod and Massachusetts through to Florida and the Gulf of Mexico to Brazil. Preferring coastal habitats around rock pilings, jetties, mangroves, reefs and piers, they can grow up to around 91 cm in length and weigh up to 9.6 kg. They have five to seven distinctive black, vertical bars running down their silvery bodies, which is why the sheepshead is also called the convict fish. 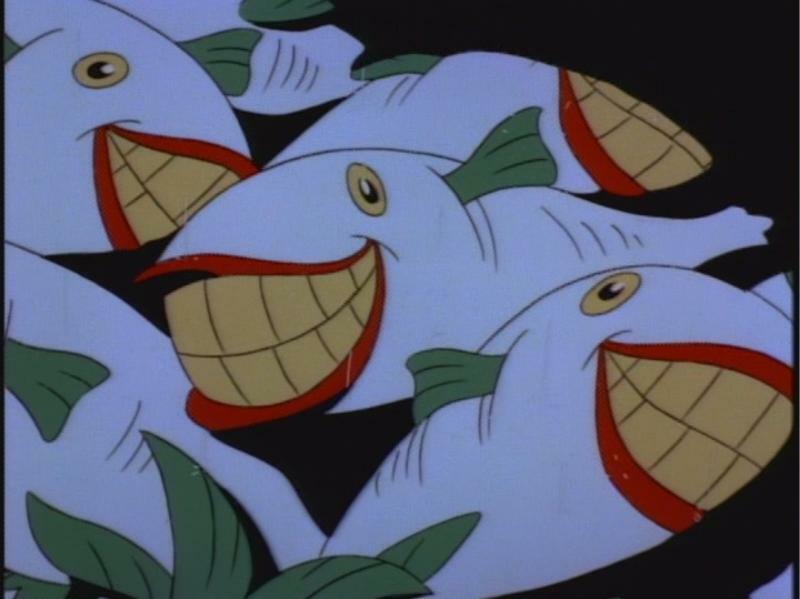 And true to their name, sheepshead fish are notorious for stealing bait and somehow being in cahoots with the Joker. When they’re young, sheepshead fish will eat marine worms, bryozoan ‘moss animals’ and pretty much anything soft-bodied they can catch in the seagrasses. Although thick, sharp teeth begin to appear when a sheepshead is just 4.5 mm long, it will have to wait until it's about 15 mm long before all the incisors have come in and the back teeth begin to develop into adult molars. Once they reach around 50 mm in length, the sheepshead will advance to eating more robust, armoured prey such as echinoderms, barnacles, clams, crabs and oysters, using their highly specialised teeth.